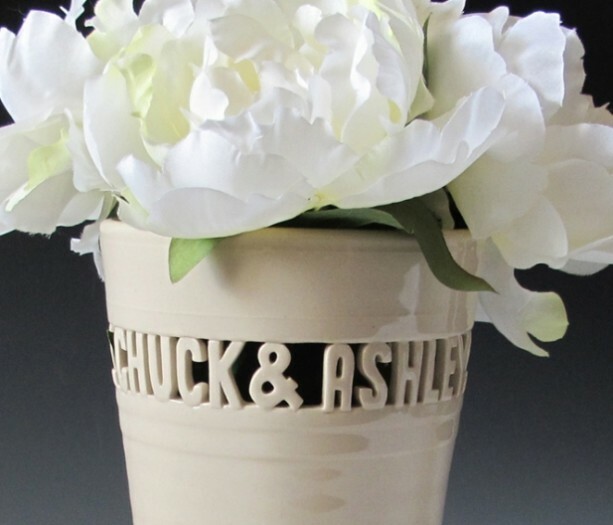 An instant heirloom based on sentimental value alone, this personalized vase would make a lovely remembrance of their special day for the happy couple. 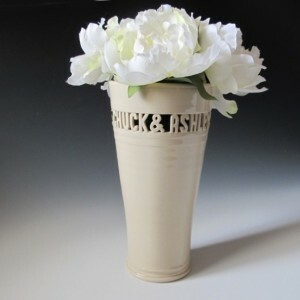 This unique vase could also make a wonderful addition to the guestbook table, the seating arrangement table, or as a centerpiece at a bridal shower. 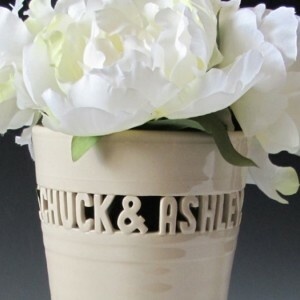 Each 8 to 8-1/2\" vase is personalized with the couple\'s first names and the date of the ceremony. First, the vase is hand thrown on the wheel and the names are etched into the clay. 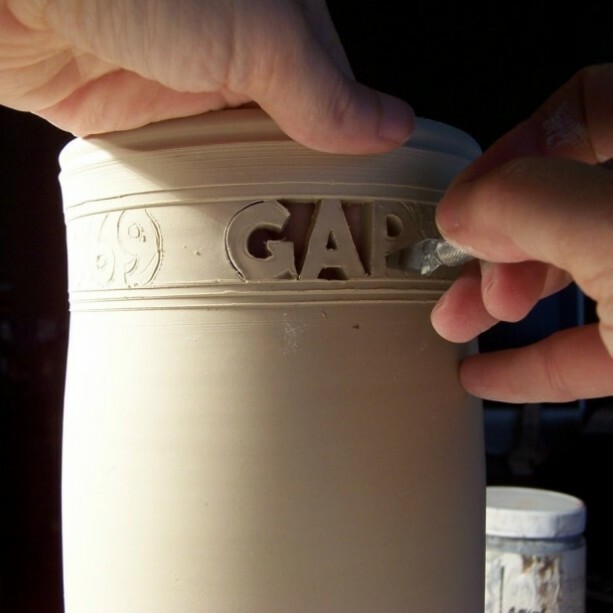 Later, when the clay is the perfect consistency, the names and date are painstakingly hand carved out of the clay. 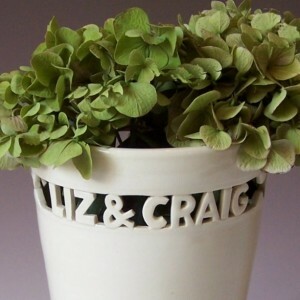 The block lettering has a more modern look while the cursive tends to be more romantic and wedding-like (view the shop in its entirety to see the options) This is a wonderful reminder of the day and can be filled with flowers every anniversary, if not more often. 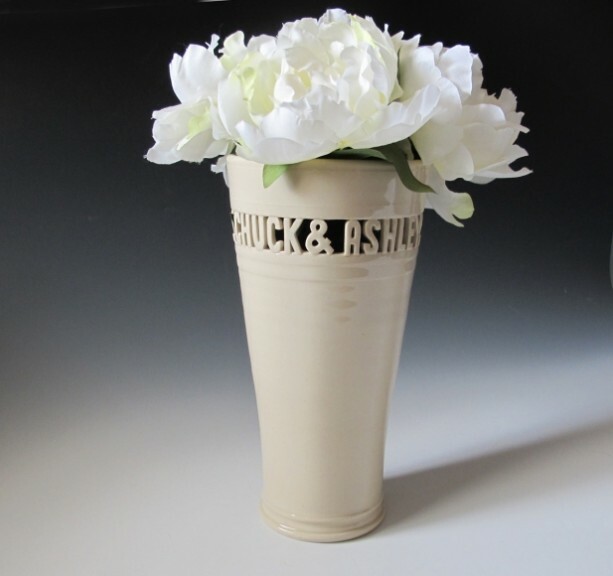 The vase is a lovely, lightly speckled ivory color. 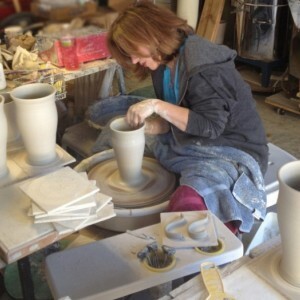 The lead time on this vase is 6-8 weeks so please order with that in mind. Also, depending on the length of the couple\'s names, the month may be abbreviated or done as a numerical date only. 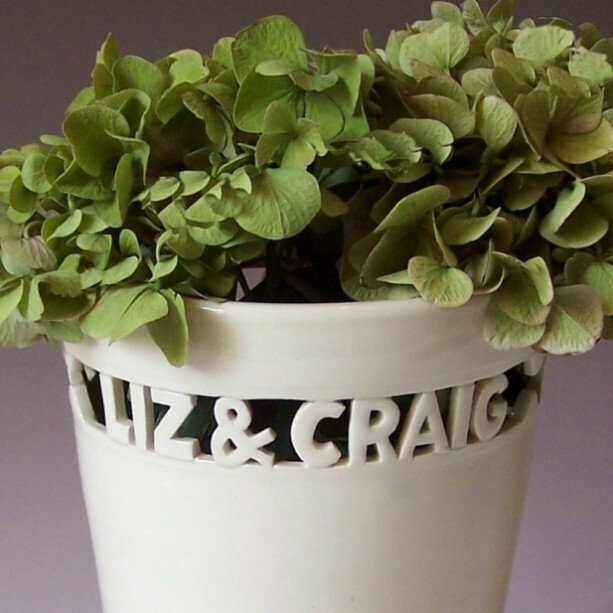 Please include the couple\'s names and date along with any short message from you that you would like inscribed on the bottom of the vase, please include that in at checkout. Thanks! Canada shipping is less than the rest of the international shipping and will be refunded. 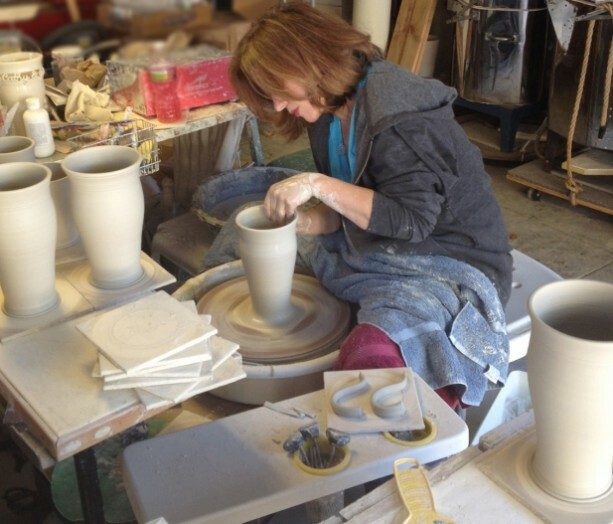 As of 1/13 it is $20 to ship first class to Canada ********************************** PLEASE NOTE: I\'m just giving advance notice that I will be deactivating the custom wedding vases from the shop starting November 1, 2013. I will relist them starting January 2014. If you need one for a wedding or Christmas gift during that time please order prior to November 1st. Thanks! !